I’m not exactly sure when this started because for as long as I can remember (after E was born) I went to bed as soon as it started getting dark outside!! Okay okay – I went to bed between 9-10. Then it got pushed to 11. Lately it’s been 12 or 1. Tonight – who knows!! I’m wide awake and ready to go!!!! Luckily I get to nap during the day so it’s not like I’m going to become a zombie, but I’m slowly starting to figure out what started this insomnia. I think I’m safe to blame it on blogging, etsy, crafting, facebook, pinterest, but most importantly – it’s the only time of day where this house is COMPLETELY SILENT! I love the silence. Even though I can’t do half of my crafts because they are way to noisy.. it’s still nice to sit here and crochet or paint. Tonight I’m crocheting that big hug cowl from the pattern – except I’m hardly using the patter. I’m not using the exact yarn they used, or the size needle, or even the crochet type… I like my way better!!! We’ll see how it turns out. I don’t know what it is but have the hardest time following patterns. Partially because most of them speak in a code that I swear no one really understands, but mainly because once I start making it the way they say to – I think it looks funny, so I try something else and I think it looks so much better! So here goes another trial and error – luckily my past few trial and errors have turned out pretty well! I also went and bought some new felt for the beaded monogram letters. I finally decided what I’m going to do to spice each one up! It took a lot planning and I didn’t even finish the plan for the E one until just a few minutes ago! I think I might sketch it out tomorrow so I know exactly what it’ll look like. I haven’t sketched in days though – so wish me luck! 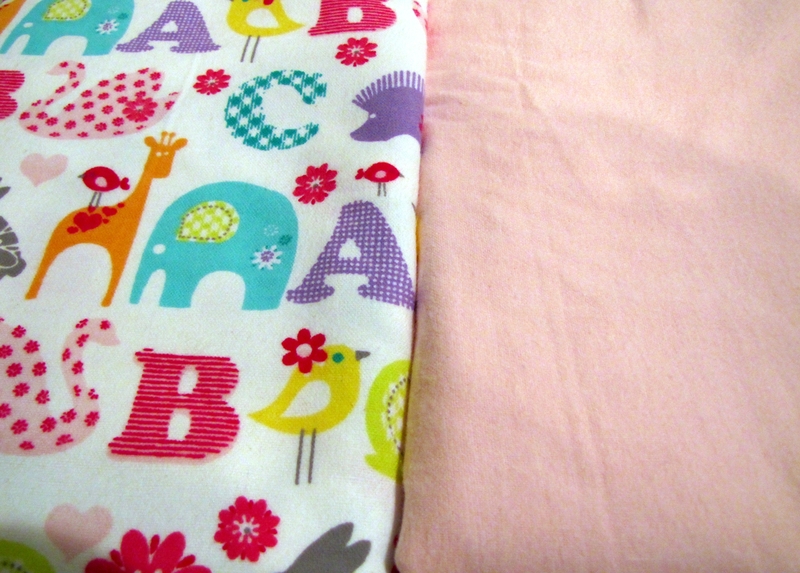 Some other things I bought..
You guessed it – More Fabric! I think I need a vacation from JoAnns – It seems like I can’t walk in there anymore without buying a ton of things. Until I finish making my inventory list of burp cloths – I’m not allowed to buy anymore!! Unless I get orders for more off of etsy! Although I won’t be going anywhere except maybe the post office for the next few days. I’ll have my hands full all week and weekend with the girls. That should make my wallet happy and hopefully the week after that I can avoid shopping again and get a lot of crafty things done! It’s going to be hard to get much done this week but I’ll keep trying!! ← DIY: Beaded Monogram Wall Art! I love that you are a fabric addict 🙂 (strength in numbers I say ;-)) Plus those ribbon wreaths are BEAUTIFUL. I can imagine these would sell very well, very pretty little flowers! like like like! Thanks! 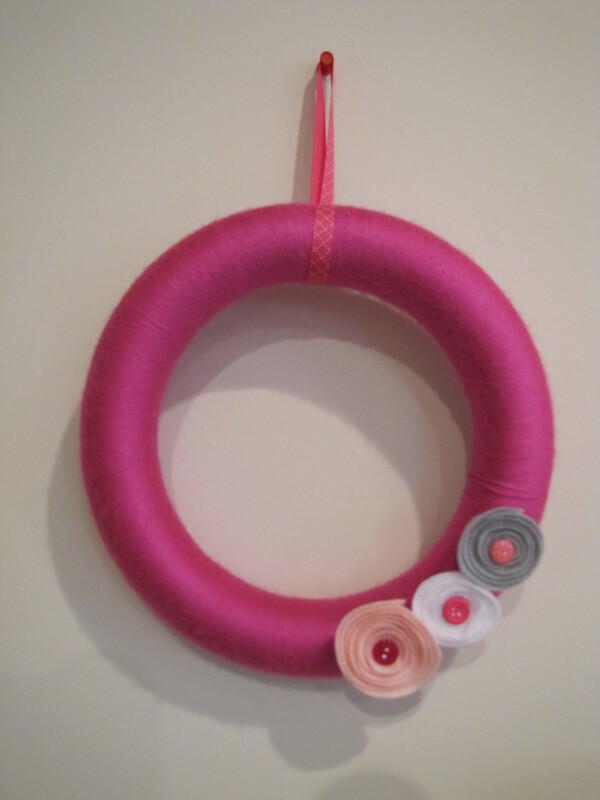 I’m going to try them out at the craft show – we’ll see how well the do 😉 I know a lot of people can make them and enjoy making them though so it might be more of a hobby than anything else. perhaps – I can see that they are probably not too tricky to make, but yours are nice color picks combined with the little flowers. Im just saying this is something I would buy rather than make. 🙂 Fingers crossed they go well for you!! Good Point! Let’s hope there are some people that would rather buy it than make it too!! 😀 See without you – I’d probably blown this project off and never sold it. I NEED YOU IN MY LIFE! Haha! Ahhh JoAnns, we had one of those where I grew up! I miss that place. Love all the fabric, and I also have to agree…I tend to find myself staying up later and later sometimes just because I enjoy the quiet so much! 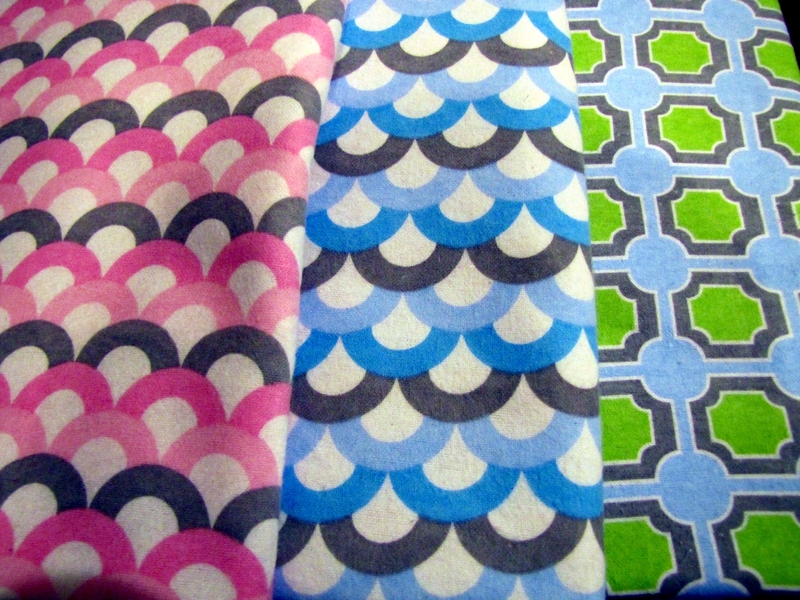 Loving those fabrics! I’ve just looked at the JoAnns website and I can’t believe how cheap the fabric is compared to the UK! Oh definitely! I have a couple friends from the UK who shop their fabric here and get it shipped there. I love to look at DIY projects but it’s rare when I actually complete one, haha.